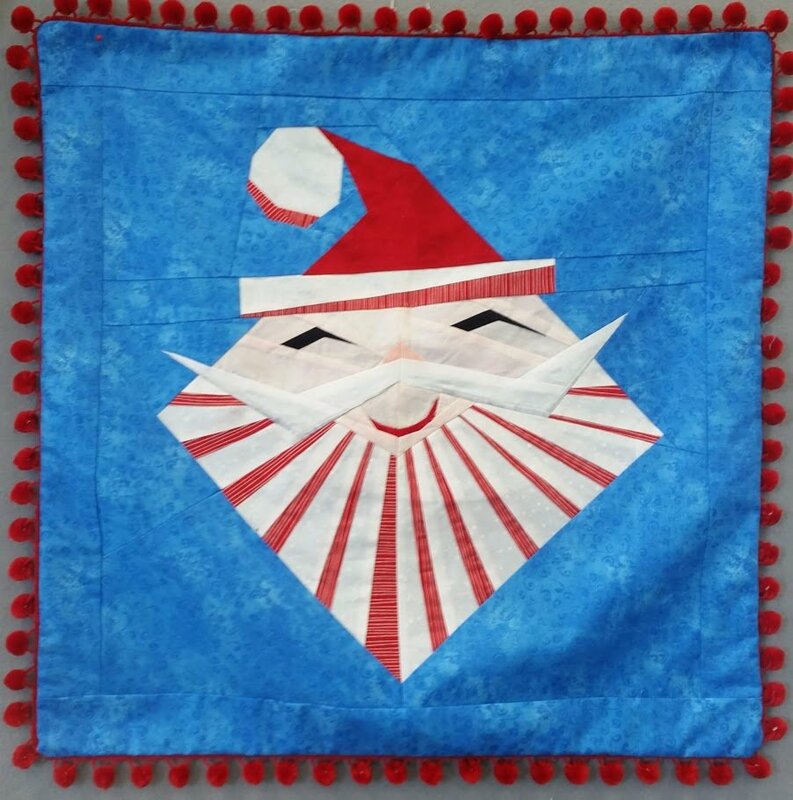 This happy Santa can be a wall hanging or pillow cover for Christmas time decorations. The block measures 18” x 18” and instructions are given for making 21” x 21” wall hanging or a 20” x 20” pillow. I made mine pillow for a 22” x 22” pillow. The block is paper pieced with added borders. Then decorative trim or binding is added. You can use whatever color you like for the background fabric.